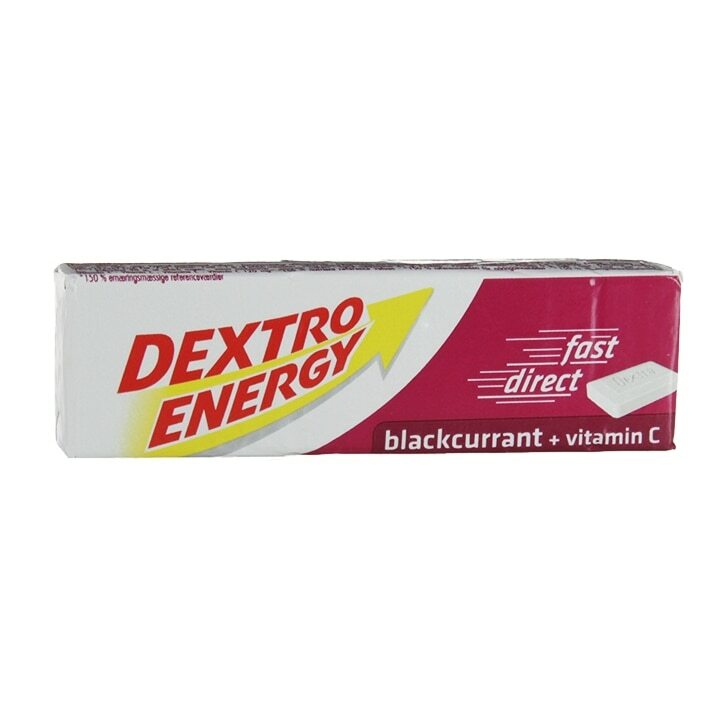 Dextro Energy Blackcurrant is rated 5.0 out of 5 by 6. Rated 5 out of 5 by Chieftain from Energy sweets. I take one of these before I go for a reasonably long walk with a dog. Rated 5 out of 5 by Gill of Dorking from Great tasting energy! Have bought these for years, give a nice sugary burst on the hills! Rated 5 out of 5 by jan66 from lovely and tasty love these tabs, they are handy to keep in pocket or handbag for that extra boost during the day when energy starts to wain and are better than the odd bar of chocolate !!! thing is they taste too good..... one is never enough !! !